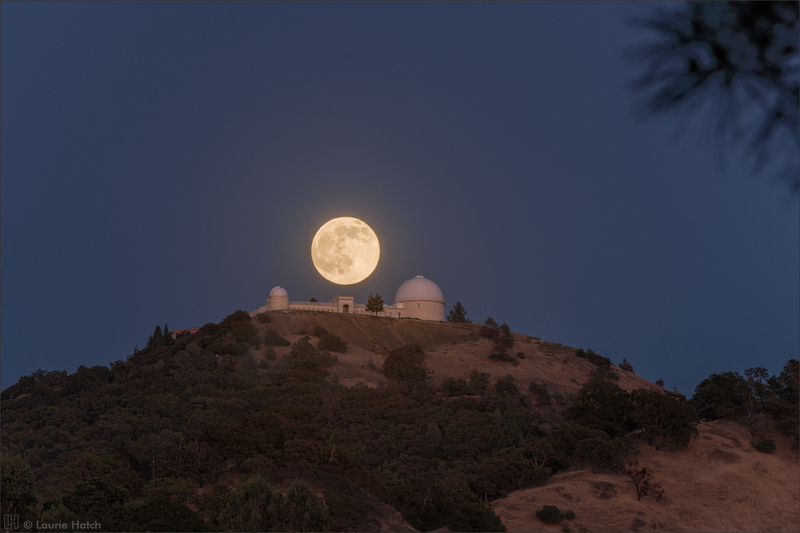 Summer Solstice: The full moon descends behind Lick Observatory on the summit of Mount Hamilton at sunrise. The Belt of Venus is exceptionally vibrant on this morning due to particulates in the atmosphere. The camera is positioned on Copernicus Peak (4365 feet, 1330 meters) looking west. The shadow of the peak is preventing the sun's rays from brightening the nearby domes of the Shane 3-meter Telescope and Main Building's Great Refractor and Nickel Reflector. 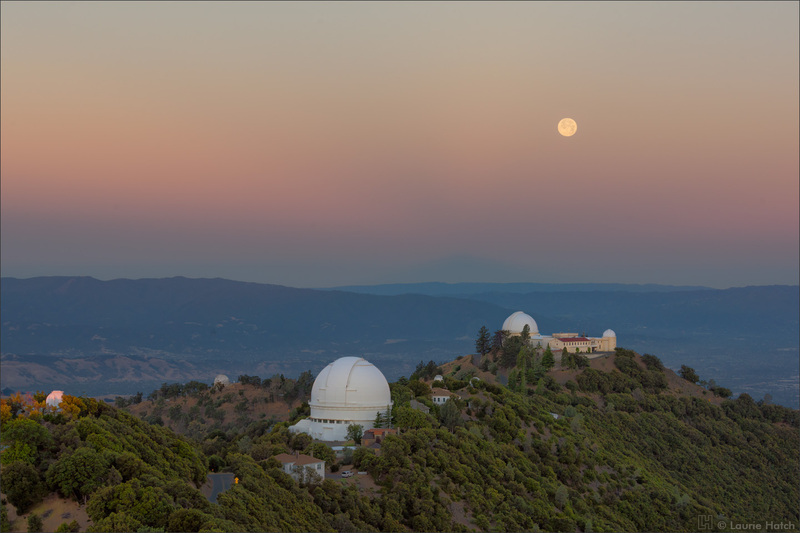 However, the Katzman Automatic Imaging Telescope at far left is illuminated by dawn's first light. Note Mount Hamilton's subtle triangular shadow rising above the Santa Cruz Mountains in the background, slightly above the horizon to the right of center. Thank you to APOD authors & editors Robert Nemiroff (MTU) and Jerry Bonnell (UMCP) for featuring this image! 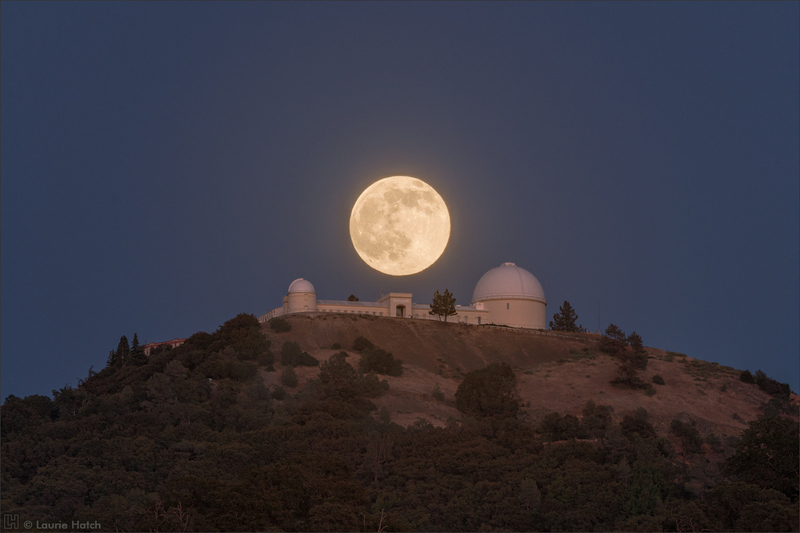 Sincere gratitude is also extended to University of California Observatories / Lick Observatory astronomers, staff, and friends for their generous and invaluable assistance in producing these photographs.